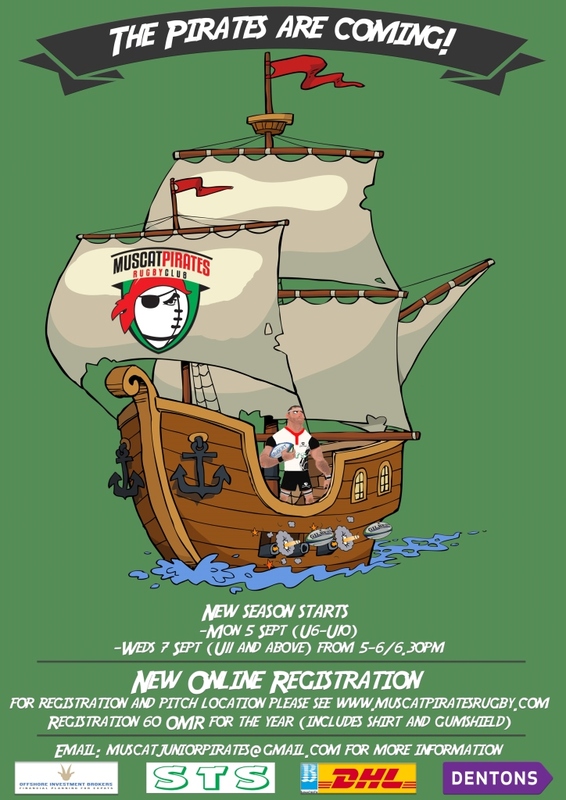 If you didn't already know, the Muscat Pirates are a rugby club catering solely to kids (boys and girls) who want to play rugby here in Muscat. 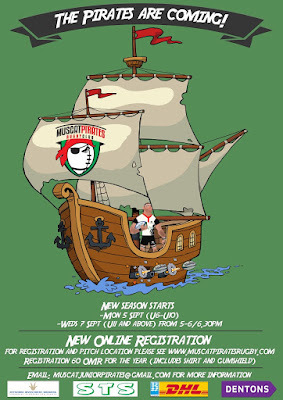 The Muscat Pirates train at the same ground as the MRFC and you can find out more about them by visiting their website at www.muscatpiratesrugby.com (including the pitch location). Registration is RO 60 per kid (which includes a shirt and a gumshield).